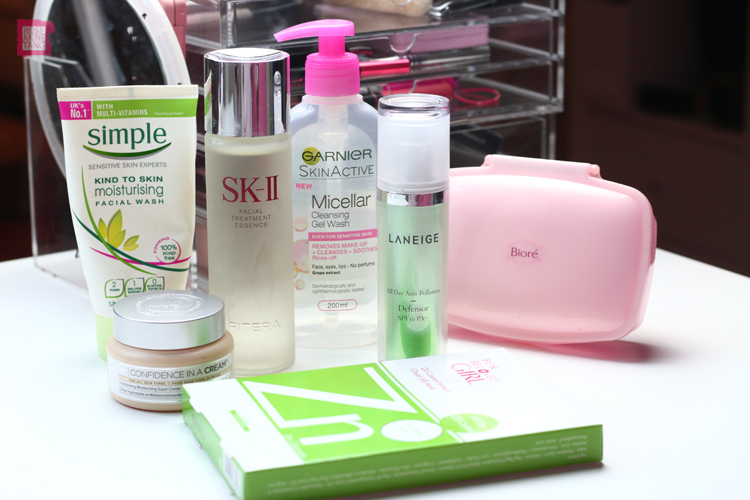 Today I want to talk about my all time skincare favourites. Over the years as you would know, my skin hasn’t always been the best and it was only until I finished up a year of Accutane that my skin was something to ever be confident about. These days, I like to keep my skincare pretty minimal. Here are my absolute top favourites and products I’d for sure go back to time and time again. In the cleansing department, my all time favourite cleanser is the Simple Kind to Skin Moisturising Facial Wash. It’s just about the most boring-est facial wash there is, akin to Cetaphil, but for some reason my skin really likes it. It doesn’t even have a smell to it but I find my best skin days are usually when I’m using this cleanser. It helps clear up my clogged pores and calms my skin down nicely. When I remove my make-up at the end of the day, I never use cotton and make-up remover. It would probably take me like a hundred years! 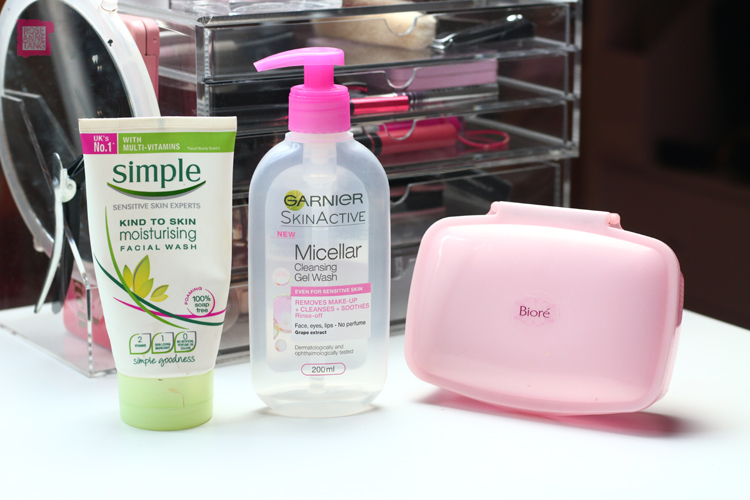 Instead, I like to use cleansing gels or creams…and even the occasional oil. When it’s ready to remove my make-up, I take the gel and apply it straight to my face and gently rub. Then I just rinse off! As I do make-up for a living, I always need a good wipe and my favourite are the pink ones from Biore by far. They’re a little expensive though, at SGD 15-16 for a pack but if you run down to JB, I think you’ll get a pack for less than $10. I’m really simple when it comes to moisturisers and treatments. 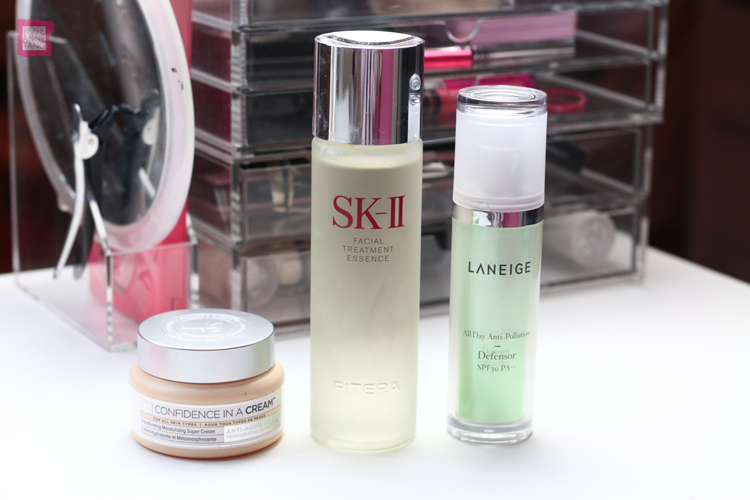 My favourite by far for treatments is the SK-II FTE or Facial Treatment Essence. A lot of people swear by it and it’s one of the few “treatments” that actually work for me. It smells quite bad at first but then you get used to it and I love it becomes my skin seems to glow so much more when I get into using it. The BEST moisturiser is the It Cosmetics Confidence in a Cream. It’s so so good for my skin when it’s dry and tight and when I wake up in the morning after applying it the night before, it really looks different. I won’t use it before my make-up because it’s a little thick so instead I have been using the Laneige Defensor that apparently protects your skin from pollution. Most of all, I love it because it is the perfect before makeup lotion. Let’s talk face masks too – I’m alright with face masks. I don’t use them on a regular basis but I have tried quite a few. 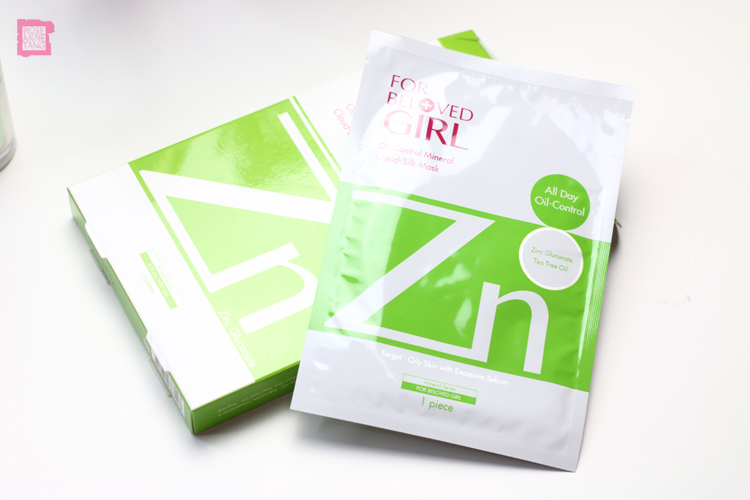 My favourite brand of face mask is the For Beloved One face masks. The original one is a dream. It’s like a gel based texture that feels really gummy and cool. But it is very pricey so alternatively I have been getting into For Beloved Girl masks and they’re worthy to be talked about too. They have a very thin second skin texture and come in a variety of colors depending on the skin issue you’d like to tackle. They make your skin super hydrated! Hope you liked this! What are your skincare favourites? MUFE HD Foundation under Flash? Put to the Test. Oooh the Laneige Pollution Defensor is incredible. It’s a saviour when I am back in Seoul and the air isn’t so clean!